I envy people who can cook and not make a mess. I try my best to tidy as I go along and to keep things neat, but it never quite works. I’d like to be one of those people who has all their ingredients chopped, measured and sitting neatly in a little bowl before they start cooking. Unfortunately I’m more of the Jamie Oliver school: grab a handful of this, add a splash of that, wazz it up, bash it in the oven. So my fantastic idea for an easy dinner turned out to be less simple than I planned. It’s really not the organized oasis of calm that I’d like it to be. 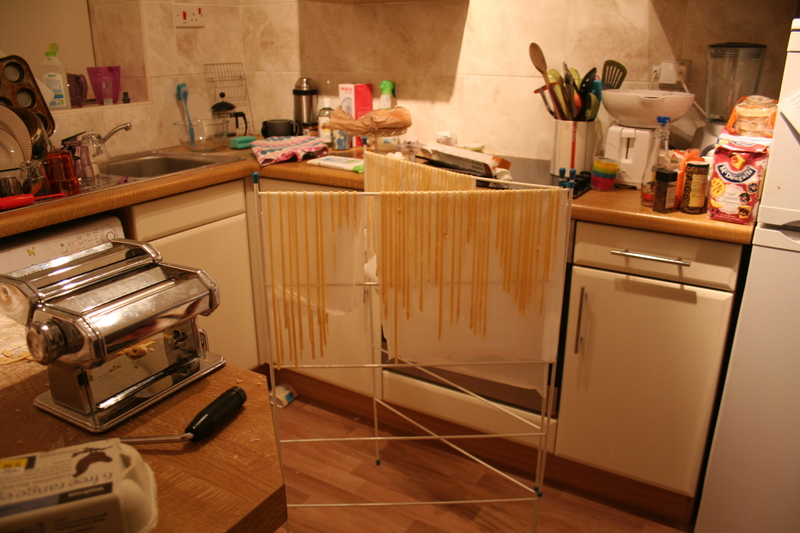 Getting into the cupboards became a tactical operation, as did finding any spare area of worktop whilst performing dosey does around the drying rack. It was worth it in the end though. 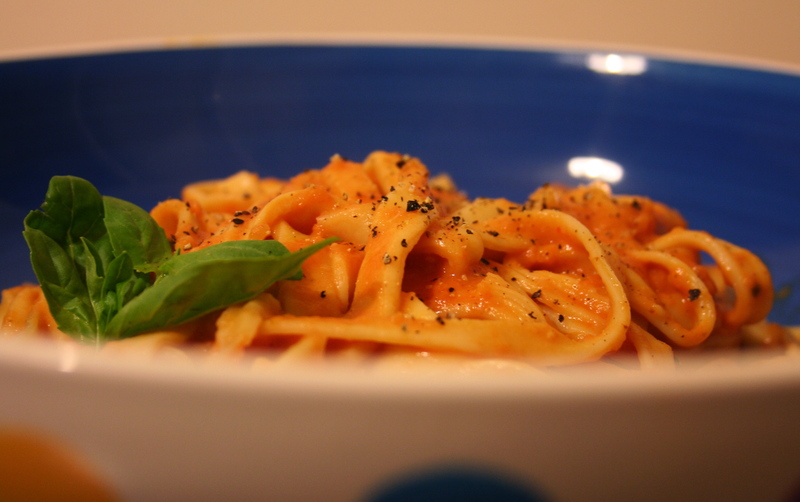 The pasta sauce was beautifully creamy without being too rich or heavy – definitely a keeper! ~ by smileysoyabean on 29 February 2012. So glad you enjoyed it =D. Thanks for trying it! I start out with good intentions of keeping my kitchen neat too but by the time I’m done, forge it! I was covered in flour the other night after making a simple pizza dough. Your pasta looks delish!